People sometimes wonder, how does a septic tank work? You ask; how does a septic tank work? It’s mostly because of a simple, yet efficient design. The tank is one of two the main parts of a septic system, which takes waste water from a house or business and acts as a settling pond before the water goes into the other part of the system, the drain field. Septic tanks are water-tight, underground containers made of concrete, plastic, PVC or fiberglass. Most tanks installed after 1976 have two compartments, but older ones may have only one. Both work the same; wastewater from the building goes into the tank and settles into three levels. The heavy solids sink to the bottom and become sludge, which is partially broken down by bacteria in the water. The slurry that doesn’t break down over time must be pumped. Solids lighter than water, such as grease and oil, float to the top of the tank and become scum. Scum is also removed when the container is pumped. The middle layer in a septic tank is clarified wastewater which exits the tank into the underground drain field. Water is distributed through perforated pipes or drain tiles into gravel and soil, which acts like a biological filter removing contaminants. Bacteria in the soil decompose organic materials. The key to a septic tank’s efficiency is the T-shaped outflow pipe that prevents the scum and sludge from going into the drain field, as long as the tank is properly maintained. By design, the outflow only takes water from the middle layer of the tank. A filter on the outflow pipe further prevents sludge from leaving the tank and clogging drain field pipes. Your state may require an outflow filter. Contractors often recommend one even if it’s not required. 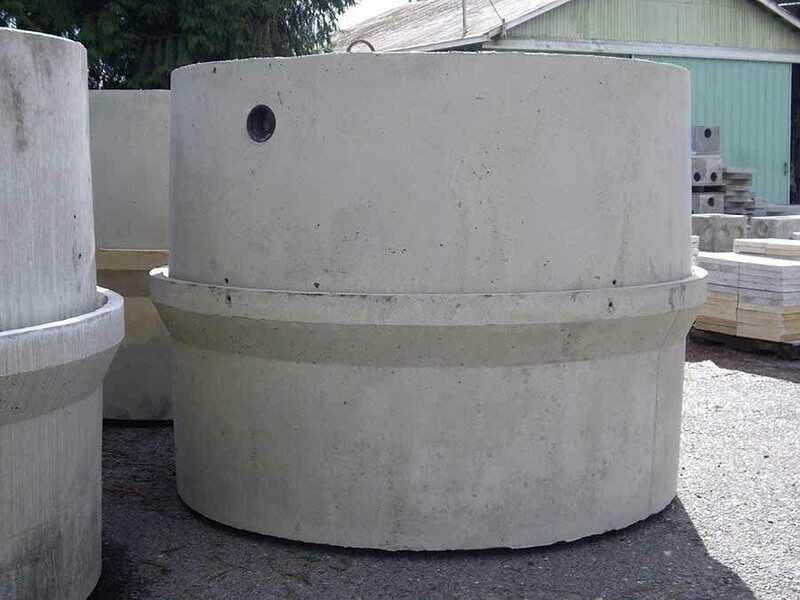 Septic tanks have solved a problem since the first prototype was developed of concrete with clay piping around 1860. It was introduced in the United States in 1883. Despite over 150 years of experience with septic systems, people still struggle with what doesn’t work in a septic tank. It’s important to know how to maintain your septic system to avoid problems properly. Your tank should be checked or pumped every three to five years, yet many things can cause more frequent pumping or serious issues. We have a list of precautions and tips for the best maintenance of your septic tank and system here. If you have specific questions or concerns, please give us a call.